Christ’s message in the Gospels is at the heart of the meeting and reveals new insights into all that Christ is saying to us at this stage of our lives. Sharing the Good News and our joys, concerns, experiences and activities can bring great happiness and peace of heart. Here, within the parish group, friendships develop as members pray and share various concerns and resolve them, like untying a knot and then letting things go. The time spent together is valuable and bears fruit as we find ways to help others, in the family, the Church and our local community. Laughter and fun is key when we meet. It prevents the Life Ascendinmeeting becoming too, too serious and lifts the spirit. 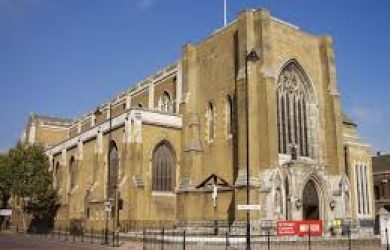 On 29 May a Quiet Day wil be held at St George’s Cathedral, Southwark, London SE1. In the morning a welcome drink will be served before 11am. Damien Conrad will give us an insight into the work of The Felix Project Right now, millions of people in the UK regularly experience hunger. Yet tonnes of fresh food are thrown away every day. Felix, set out to change this. No one should have to miss a meal. So come and learn about the tireless work being carried out by those involved in the project. 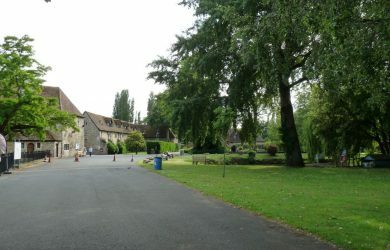 Mass will be at mid-day in the Cathedral and packed lunch will follow. Our key speaker is Joanna Bogle the Catholic journalist, writer, broadcaster and much more. At 2.45pm Joanna will speak about ‘Sharing our Catholic Culture’, which will set us all thinking. So do come along and join us. Download the booking form which is on the ‘NEWS’ page on this site and send this to Ross Roberts with £10.00. We are very sad and shocked by what happened yesterday not far from Westminster. We do share the suffering and the grief of the families who lost a beloved relative or friend. We also share the concern of the families who had someone injured and wish all of them a quick recovery. Regarding this dramatic event, the Mouvement Chrétien des Retraités send to you Ross and to all members of Life Ascending and to all English people, the expression of our deep compassion. Our eyes are crying, our heart is « bleeding », our spirit is indignant but hate should not triumph. Let us pray together with all the faithful; let the prayers be the expression of our will, together with all men and women to fight in order to get tolerance and peace in our world. I would like to inform you that over £50,000 has now been raised in aid of the UK-registered charity ‘Iraqi Christians In Need’ (www.icin.org.uk) through piano and organ recitals. Thank you for your help so far in raising awareness of the charity's work. I have never joined anything in my life but I am so thankful I am now an Life Ascending member. The meetings have helped deepen my faith and I now think so much more about God. We have a new leaflet that you can download and read or print out. 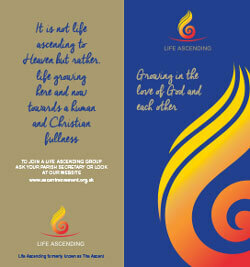 Interested in joining a Life Ascending group near you? Check our National Map to see your nearest group.